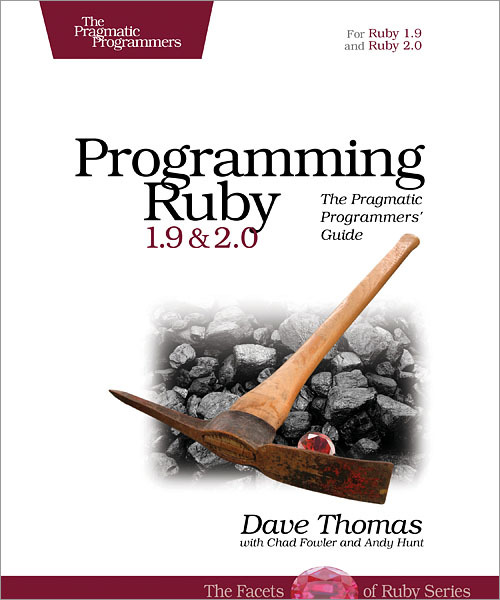 This book is the only complete reference for both Ruby 1.9 and Ruby 2.0, the very latest version of Ruby. 2013 marks the 20th anniversary of the Ruby language. We're proud that throughout its history, we've continued to cover the latest version of Ruby. Would you like to go from first idea to working code much, much faster? Do you currently spend more time satisfying the compiler instead of your clients or end users? Are you frustrated with demanding languages that seem to get in your way, instead of getting the work done? Are you using Rails, and want to dig deeper into the underlying Ruby language? If so, then we've got a language and book for you! * An acclaimed tutorial on using Ruby. * The definitive reference to the language. * Complete documentation of all built-in classes, modules, and methods. * Complete descriptions of all 97 standard libraries. This is the reference manual for Ruby, including a description of all the standard library modules, a complete reference to all built-in classes and modules (including all the new and changed methods introduced by Ruby 1.9, 1.9.2, 1.9.3, and 2.0). It also includes all the new and changed syntax and semantics introduced since Ruby 1.8. Learn about the new parameter passing rules, local variable scoping in blocks, fibers, and the new block declaration syntax, among other exciting new features. Ruby 2.0 is a minor update to Ruby 1.9, unlike the more major updates from Ruby 1.8 to Ruby 1.9. The major language changes in Ruby 2.0 are the addition of keyword arguments and the change to use UTF-8 as the default source file encoding. * @Enumerator::Lazy@, which adds support for lazy access to potentially infinite lists. * Refinements allow you to encapsulate changes to third-party classes, and scope their application to individual source files, preventing your changes from polluting the global application. You'll also find that Ruby 2 is faster, and has memory management improvements that make it more server-friendly. All told, there are over 110 sections of the book that have been flagged and cross-linked to indicate 2.0 content. * This book assumes you have a basic understanding of object-oriented programming. * In general, Ruby programmers tend to favor the the command line for running their code, and they tend to use text editors rather than IDEs. * Ruby runs on Windows, Linux, and Macs.